One in three people living in the United States will develop some form of cancer during their lifetimes, according to the American Cancer Society. For many people with cancer, the treatment is almost as devastating as the disease itself. Common side effects of cancer treatment include loss of appetite, insomnia, nausea and vomiting, and pain, according to the National Cancer Institute. Many of these symptoms can be alleviated with cannabis and cancer patients are using cannabis to improve their quality of life while undergoing treatment. Find out more about the benefits of cannabis, delivery methods, managing side effects. and how a Florida cannabis doctor can help. Palliative care is designed for those with a serious or chronic illness such as cancer, according to The California State University Institute for Palliative Care. Palliative care is focused on improving quality of life, and it is typically delivered by an interdisciplinary team that includes your primary care physician, social workers, and nurses. A Florida cannabis doctor can be an integral part of your palliative care team, helping to manage your symptoms with medical cannabis. Pain. Studies have confirmed that cannabis is an effective treatment for pain. Cannabinoids, the compounds in medical marijuana, impact pain through their interactions with the receptors in your endocannabinoid system. Their pain-relieving impact is similar to that of opioids but without the addictive side effects. Loss of appetite. Recreational marijuana is sometimes associated with the “munchies.” There is some truth to this association, in that cannabis can increase appetite. Cancer treatments sometimes cause a decline in appetite as well as weight loss. Medical marijuana can stimulate appetite and prevent weight loss. Neuropathy. Neuropathy, or nerve damage, is a common side effect of cancer treatments. Neuropathy causes symptoms such as tingling, numbness, and weakness. Cannabis can help people with cancer in a variety of ways. The specifics depend on the individual, the type of cancer, and their symptoms. Pharmaceutical Capsules. Prescription medications have been developed that are supposed to mimic the effects of cannabis. For example, there are two synthetic THC- like prescriptions called Marinol (aka dronabinol) and Cesamet (aka nabilone). Although some may assume that pharmaceuticals are superior to plant-based cannabis, this is actually not the case. Other forms of therapy provide more effective treatment and are more affordable. Inhalation. Florida has recently allowed smoking medical cannabis, but for many, smoking is harsh on the lungs, and it also has a strong odor. Many patients are using vaping as an alternative to smoking, which is potentially less toxic, more discreet, and quickly relieves your symptoms. Oral methods. Tinctures are a way to administer cannabis orally. You place drops of the medication under the tongue. Tinctures are absorbed in the mouth and usually take effect within 30-40 minutes. Topical creams and lotions. Cannabis-infused creams and lotions can provide relief in specific areas of the body. Transdermal preparations are also absorbed through the skin, but also enter the bloodstream and may provide systemic, whole body effects. Several factors will impact the best delivery method for you and your needs. These may include cost, how quickly you need symptom relief, and how long you need symptom relief to last. Are There Side Effects of Using Medical Cannabis for Cancer? As with any medication, medical cannabis carries the potential for side effects. For example, some people feel sleepy when using cannabis, but this is helpful for patients who are struggling with insomnia. Other patients may experience symptoms such as dry mouth or dizziness, but these can be easily managed by lowering your dose, changing your delivery method, and increasing your water intake. An experienced medical cannabis doctor can help you determine the right dose for your situation. The medical team at Neurology of Cannabis will be available to you if you are experiencing any unwanted side effects. They can help guide adjustments in therapy so that, you can experience the best quality of life possible while going through cancer treatment. How Do I Know Which Medical Marijuana Options Are Best for Me? 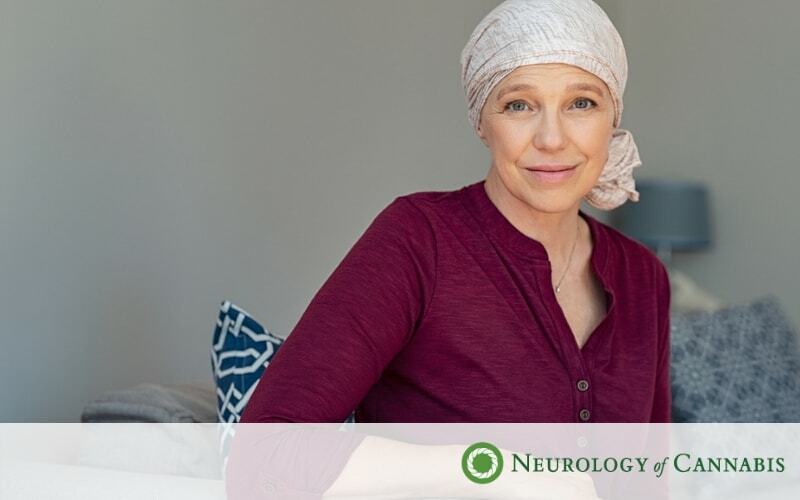 Sorting through the various medical cannabis options can be overwhelming, especially if you are dealing with a cancer diagnosis. The best way to find the right medical cannabis option for you and your situation is to seek out an experienced medical marijuana professional such as Dr. Daniel P. Stein at Neurology of Cannabis. At Neurology of Cannabis, we take the time to really listen to you and your needs. We ask that you bring your medical records to your first appointment so that we can carefully evaluate your situation. You have quality time with Dr. Stein to ask questions and find the answers you are seeking. His staff Is there to assist you with joining the medical marijuana registry, and you will leave your appointment with clear treatment recommendations. If you or a loved one is dealing with a cancer diagnosis, we invite you to make an appointment at our office. We are here to answer any questions you have and help you decide if medical cannabis is right for you. Dr. Stein has more than 25 years of practice experience and has an in-depth understanding of how medical cannabis can improve your quality of life. Contact us today for an appointment. We are ready and able to help.